When my husband and I celebrated our 50th anniversary with family and friends, I was moved to spontaneously say a few words about the legacy we hoped to leave to our children and grandchildren. I spoke briefly about our family's love of nature and of travel, and also mentioned our commitment to care about all people, not just those that live near us and look like us. My words were impromptu, but I later realized that I had given an oral version of an ethical will or a legacy letter. What Is an Ethical Will or Legacy Letter? It turns out that the impulse that I felt on my anniversary is one that elders have been feeling for many years. The oldest surviving ethical will was written almost a millennium ago, around 1050. Ethical wills have been entrenched in Jewish tradition but did not really enter the popular consciousness until a few years ago. Some modern proponents prefer the term legacy letter as it seems a little less stuffy. Traditionally, the ethical will or legacy letter is created to pass down advice and values to succeeding generations. Individuals give their documents their unique touch. Some ethical wills are written as adjuncts to monetary wills and focus on giving advice about finances. Most are less practical. Some even use humor. Usually, an ethical will is shared with family members prior to death. It can be shared immediately upon writing, or it can be placed in a safe deposit box or other secure location until the time seems right. More than one family member should be informed about its existence. A person does not have to be old, ill or infirm to write an ethical will. Sometimes a health crisis, a career change or other life change serves as the impetus. For example, President Barack Obama wrote a letter to his daughters upon the occasion of his taking office, and it can be considered a legacy letter. The great advantage of a legacy letter is that it can outlive a grandparent and possibly connect to generations that are yet unborn. The success of this endeavor depends upon two factors: the creation of a memorable document and the cooperation of children and grandchildren. Many of those who have written such a document say that the writing process is powerful, even life-changing. 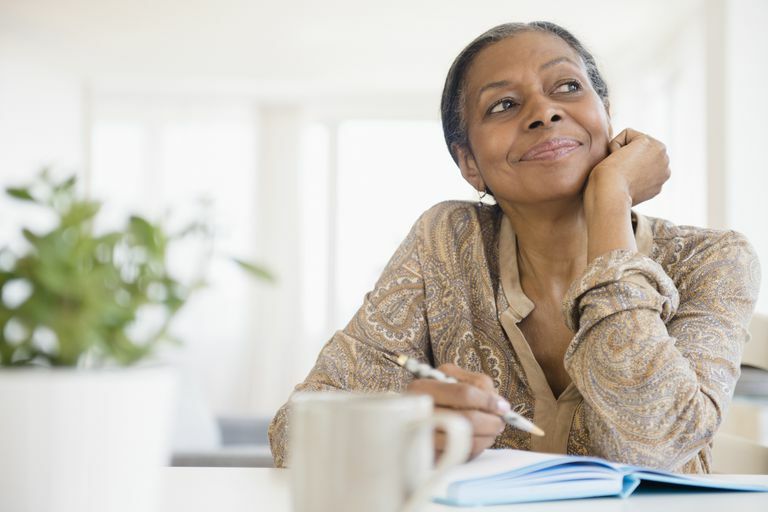 The process may be invaluable in helping you live your later life more fully. The benefits are definitely not limited to the recipients. The tone of an ethical will is just as important as the content. No one wants to be preached to. It's important to present ideas as life lessons learned, not rules to be adhered to. Also, the writer should use a natural, conversational voice. "I think of the legacy letter as my last words to my family, and I want these words to conjure up a vivid image of who I am, and who I was to them," said Betsy Storm, a Chicago-based personal historian. "When my grandchildren read this letter after I'm gone, I envision them nodding their collective heads, smiling, and saying, 'Yes, that's our Nana.'" At least part of the ethical will should be focused on the recipients. Many people offer a traditional blessing on recipients and their descendants. Others share in a less formal way what family members have meant to them. Some use brief anecdotes to illustrate their ideas. Those who get caught up in the storytelling aspect should consider a full-fledged family history or memoir. A keepsake journal that contains prompts to be responded to is another possibility. Those who feel the need for additional guidance in creating an ethical will or similar document may want to consult a personal historian. These individuals specialize in conducting interviews and turning raw material into polished products that you'll be proud to pass on to family members. Some people include more practical elements in their ethical wills. They may, for example, share their vision for their end of life. (Those who do not want extraordinary measures should be certain that they also have the proper advance directives in place.) They may give a brief description of the type of services they would like, or how they would like to be remembered after death. Detailed plans should, however, be described in a separate document. Once the ethical will is written, it can be simply printed and saved, or it can be given a more luxe look. If the will is not too long, it can be given a treatment that will make it suitable for framing. If it is lengthier, it can still be attractively formatted, printed on archival paper and placed in a handsome folder. In a world that too often seems devoted to monetary assets and tangible goods, an ethical will or legacy letter can convey the importance of family and of those intangibles that make life truly worth living. A well-done ethical will commemorates the past and gives direction to the future, according to Storm. "My hope is that the letter will not only keep my memory alive but also that it will function as a rudder." Why Should Elementary School Kids Engage in Expository Writing?